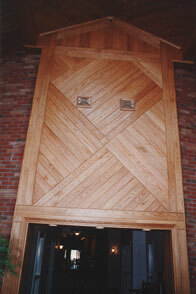 If you are trying to match an existing siding or paneling used in your home or cottage, we can do that. Bring us a 6-inch piece of that item and we can duplicate it in your choice of species. In fact we may already have made that profile. If you are artistic and have a profile you think would look good, bring in you drawing and we can produce it.